St. John XXIII receives philanthropic support from many different sources including foundations and matching gifts programs. Many St. John XXIII benefactors utilize matching gifts programs to increase the impact of their giving. Many companies will match part or all of a gift given to St. John XXIII, up to a certain dollar amount. 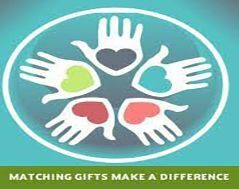 If you have questions about submitting Matching Gift forms, please contact the Advancement Office. Through the support of private foundation partners across Houston and the U.S., St. John XXIII continues to grow its academic and community programs. For more information about these, or any of St. John XXIII Advancement activities, please call (281) 693-1000.